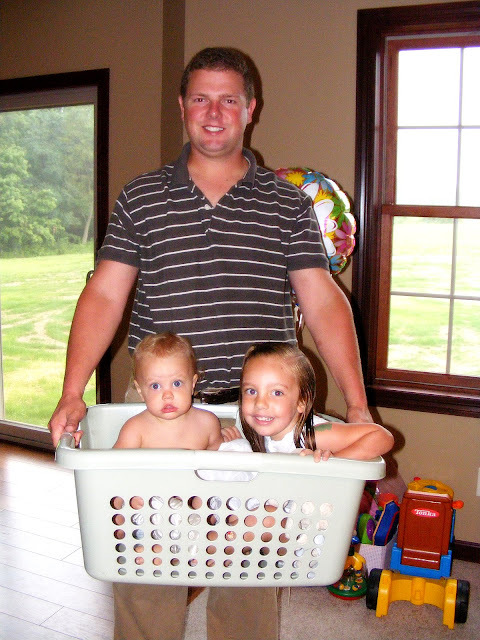 A laundry basket full of kids is much better than one full of clothes! Kudos to your hubby on the great b'day bash! How fun! How strong! What a cute photo!